NOW UPDATED! This post was updated with more in-depth content, templates and examples on how to craft the perfect buyer persona. Enjoy! Have you ever yelled over and over again to an acquaintance and found yourself wasting words on deaf ears? It’s almost as bad as wasting precious revenue on marketing strategies with low ROI. 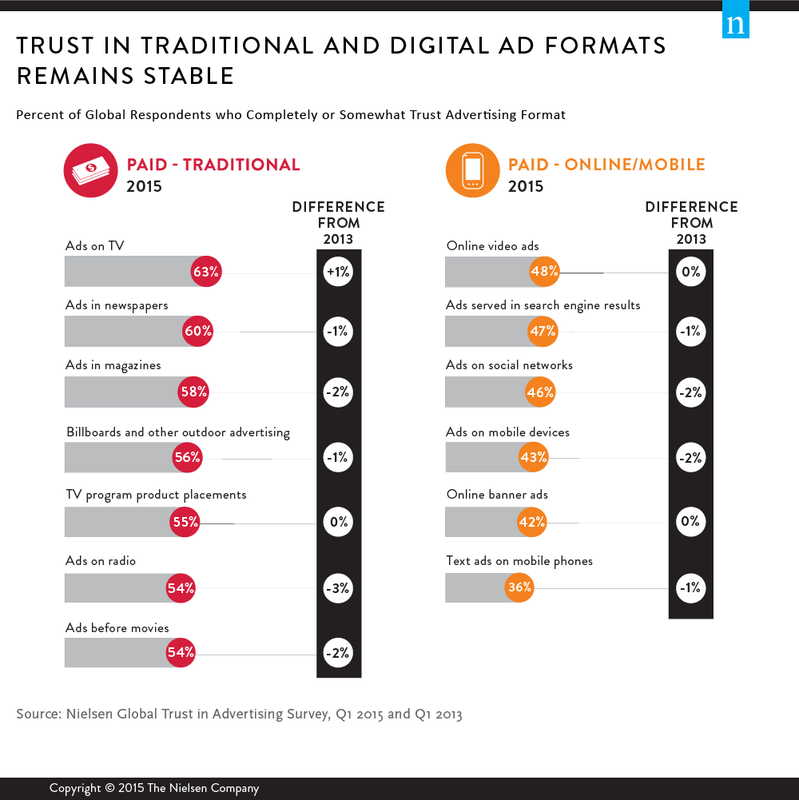 But what catches a buyer’s attention in an overwhelmingly ad-heavy world? There’s no arguing with the fact that today’s businesses have to break through an impressive amount of noise in order to capture a prospective buyer’s attention. In fact, some experts estimate that we’re exposed to as many as 4,000-10,000 marketing messages a day, making it harder than ever to get your sales pitch into the eyes and ears of the right people. So how do we determine which of these messages to acknowledge and trust? What is it that makes personal recommendations so powerful? Certainly, the fact that there’s no commercial intent in their delivery is a powerful motivator. A friend with our best interest at heart, for example, will almost always be able to offer a more persuasive recommendation than a marketer whose livelihood depends on convincing others to buy. Somebody whose livelihood depends on getting buyers will naturally test different messages to increase sales, regardless of whether they might be true or not. This is why so many companies have problems with customer retention – even if they’re able to make the first sale, they won’t be able to make the next one unless their product is exceptionally good. If the product doesn’t align with what customers heard in the sales message, they won’t buy from a company again, although they will leave a scathing online review. But there’s also something to be said about the language that’s used in the recommendation. When friends or acquaintances provide referrals, the words and phrases they choose will naturally be tailored to what they know of our own preferences. A marketer might tell you that a new minimalist sneaker’s weight will improve your foot strike, but it’s probably going to be the friend that can personally vouch for the sneaker’s benefits that’ll get you excited about it. Part of the reason marketers fail at persuading buyers is because they see their customers as data points, not as people. When you see people as data points in a spreadsheet, it’s easy to get caught up in all the conversion rate optimization tactics and A/B testing button colors. But until you realize that marketing is about empathy more than anything else, your copy will sound like it’s coming from a corporation. And that’s not a good thing. Marketers who are sending advertising messages into the void without knowing your exact wants, needs, preferences and experiences must use vague language in their ads in the hopes of connecting with at least a few of their messages’ recipients. That is…unless they take advantage of buyer personas. Free Bonus Download: Get our step-by-step guide on how to build a high quality marketing funnel. Click here to download it for free! Simply put, a buyer persona is a detailed description of your target customer. A fully fleshed out buyer persona includes everything from demographic information to hobbies, and from career history to family size – all written as if the persona were a real person. The advantage of creating these personas is that clearly defining your target customer (or customers) allows you to better tailor your marketing messages to the people whom you want to buy your products or services. Similar to the friend who vouched for the sneakers, you will understand exactly what might matter to your buyer and convey the message in a manner that a personal friend might use. Think back to some of the most successful marketing campaigns of the past few years. This may appear as though it were nothing short of hilarious brilliance, and without a doubt it is. The question is: where did the brilliance come from? 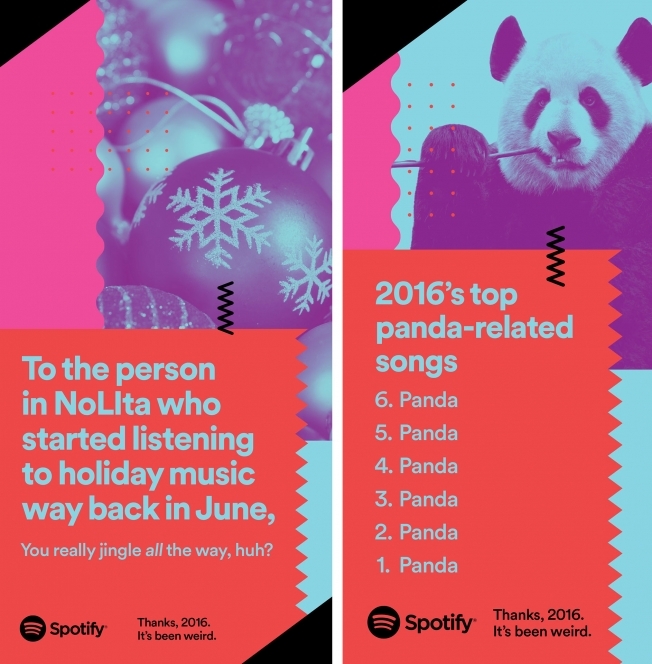 Having a buyer persona allowed Spotify to know their target audience and craft a campaign that stands out to their viewer the way that a familiar voice can turn your head. Spotify made their marketing message sound like a friend talking to you. Completely revamping their online presence, Standard Life changed their website content to a tone that aligned with their buyer personas. They utilized customer-facing employees to write blog posts rather than having typical content. The results of their digital-first strategy was a huge success: they broke all their targets and goals with 82,000 new customers, which was 32,000 beyond target forecast. How did they do it? They attribute the success to creating B2B buyer personas which allowed them to understand the needs not only of the decision makers but of the administrators as well. Once you’ve created your buyer persona profiles, you can adjust everything from the words you use on the phone to the content that’s served up on your website to ensure that prospective buyers receive the sales pitches that will be most persuasive to their personal situations. And since more persuasive messages result in more sales and revenue for your business, it’s definitely worth your time to learn how to create and implement buyer personas as part of your marketing campaigns! Mark offers website design services to accountants. When reaching out to new prospects, he tends to encounter two different types of customers – older accountants who have owned their own practices for decades and up-and-coming CPAs with an interest in new technology. From experience, Mark has discovered that these two groups respond to very different sales approaches. The older accountants aren’t that comfortable with the internet and aren’t concerned about making sure their websites look up-to-date. However, they do care a lot about their bottom dollar, so they respond well to pitches that emphasize how important a modern-looking website is to attracting and retaining new clients. The younger, up-and-coming CPAs, on the other hand, aren’t as concerned with the bottom line of their practices. Since they’re further down the totem pole, the overall financial success of the business doesn’t mean as much for them personally. But, having grown up around computer, they’re anxious to get their hands on the newest web technology. And even though they aren’t always the primary decision-makers in the sales process, they’re often heavy influencers of the older accountants (who, in turn, are likely to delegate website decisions to these “young bucks”). In this case, Mark has two distinct target customers – the older accountant and the young up-and-comer. 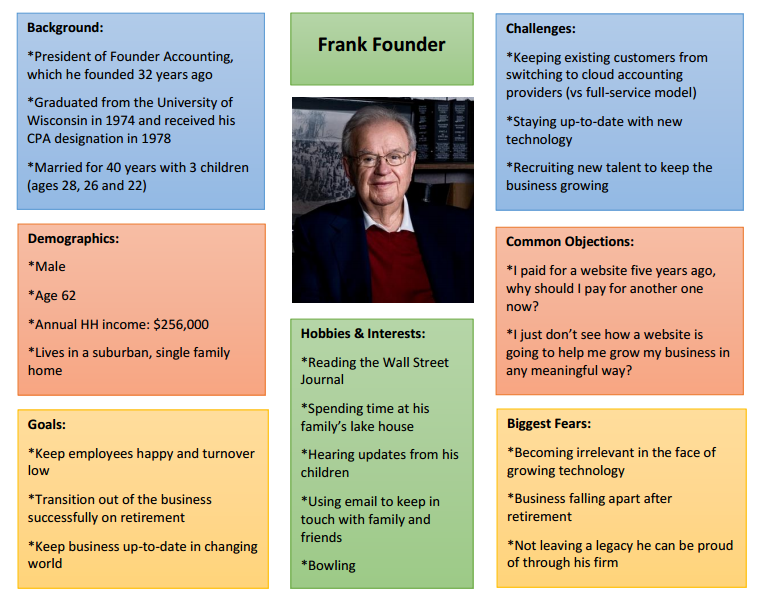 Mark should create two buyer personas (or, detailed descriptions based around sample customers) based on these profiles in order to tailor his future marketing campaigns as closely as possible to the needs of each group. Now, your business might have more than two target customers – or you might just have one. It also isn’t necessary to create a detailed buyer persona for every possible target customer you can think of. A service like Dropbox, for example, could have dozens of distinct user groups, as just about everybody can benefit from easy-to-use, inexpensive cloud file storage. To start, create buyer personas for your three best performing target customer groups. You can always add more later as time allows. As you might expect, the specific questions for which you’ll want to find information will vary. For example, if your product or service doesn’t involve technology, adding the question about your buyer’s tech expertise may be unnecessary. Once you’ve set your list of questions, you’ll find that the information-gathering process may take a number of different forms. Conduct traditional market research – If you have the budget to do so, investing in focus groups or one-on-one interviews with your target customers can provide great data for your buyer personas. Send out questionnaires – You can also generate a tremendous amount of information by sending questionnaires containing the questions listed above to your existing customer base. If possible, consider offering a small incentive (like a coupon or free sample product) to customers that complete your survey. Check your website and social media analytics – While analytics programs can’t tell you who your target customers should be, they can provide demographic data about the people who are currently interacting with your site and your social profiles. Talk to your employees – Your customer-facing employees likely have a wealth of information about the people they work with, but you won’t know unless you ask! Run the questions listed above by them and add their responses to your buyer personas. Guess based on past experiences – If you’re short on time or money, you can always answer the questions based on your own observations. 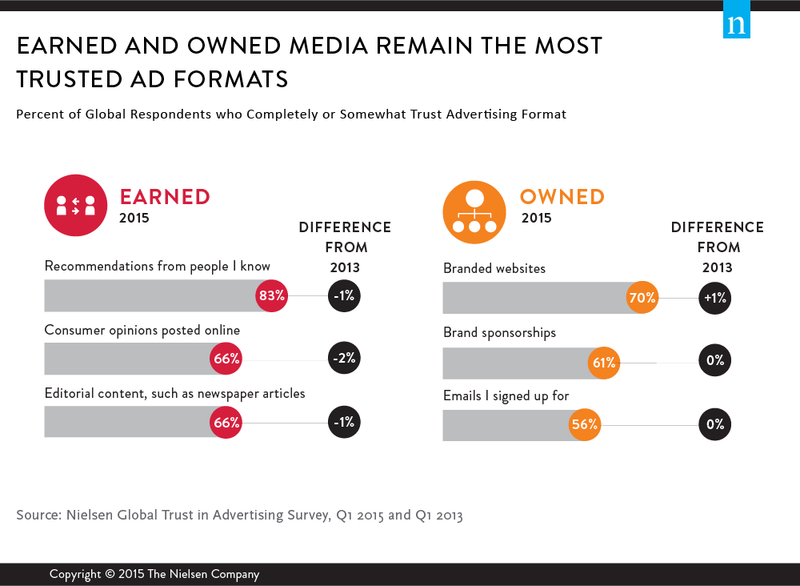 While this data may be subject to observer bias, it may be enough to inform your future marketing initiatives. You’ve got your set of questions and you’ve got your information. Now it’s time to put your personas together! First, in order to use your buyer personas, you’ve got to develop methods for classifying prospects accordingly. That way, you’ll be able to tailor everything from your sales pitch to your marketing materials as closely as possible to the type of prospect you’re dealing with. One of the easiest ways to do this is to ask prospects a clarifying question (or series of questions) during your first interaction for them. If the prospect responds that he’s having trouble capturing business leads, Mark could assume he’s talking to a “Frank Founder” persona and adjust his sales pitch to focus on the financial advantages to having a new website. Are you more concerned about [defining persona characteristic] or [characteristic of other buyer persona]? Obviously, this technique has some limitations. Not all prospects will fall neatly into one of your buyer personas, and it’s possible that the answers you receive to your clarifying questions won’t be ones you’ve anticipated. But don’t let this throw you. Gather the unexpected responses you receive to create future additional buyer personas and, in the meantime, classify the prospect according to the existing persona that’s closest in nature. Though our example above describes the use of clarifying questions in phone sales, keep in mind that they can be used in other lead generation processes as well. If your website has an opt-in form, consider adding one of the questions above as a field. That way, you won’t just receive the prospects name and contact information – you’ll get the insight needed to sell him or her effectively as well. But even if you don’t have a way to add clarifying questions to your sales cycle, you’re not out of luck. Get creative! 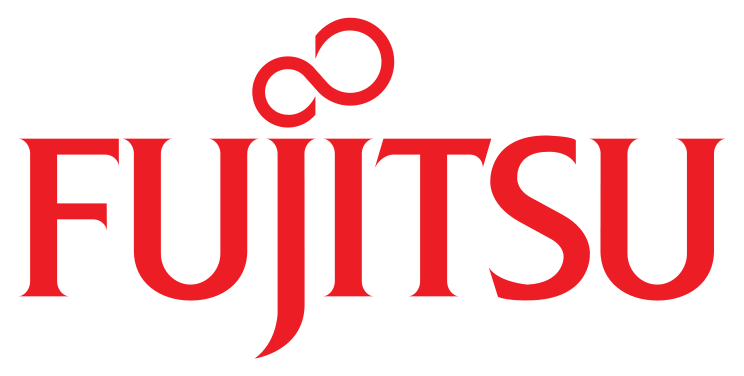 Could you, for example, run separate sets of advertisements in your industry’s trade journal using different language that will appeal to each of your buyer personas? 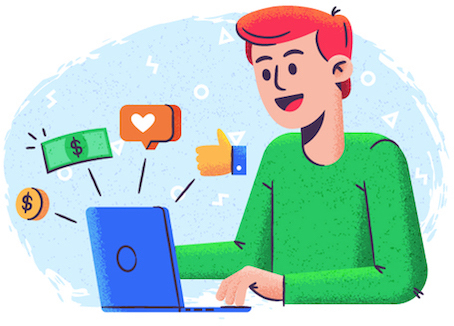 If you include a special promotional code that prospects must reference when initiating contact with your company, you’ll know which ad piqued their interest – and, therefore, which buyer persona they’re more likely to fall under. Ultimately, the specific classification methodology that works best for your business will depend on your unique sales funnel, marketing strategies and target customers. Experiment with different strategies and pick the one that gives you the most accurate buyer persona data. Take your “Happy Customer” database and generate an understanding of what type of buyers they are. If you don’t have a database yet, begin with sending out quick and simple surveys to gauge how “successful” your customers are and organize accordingly. Clearbit Enrichment Program – An excellent tool that builds a persona with 85 data points out of any email or domain name. This will help answer any of the questions you had not been able to already. It can also be used to streamline the process and save time. In fact, it’s not unheard of to start with this tool and build on top of the personas generated to complete your research. Google Analytics – Scroll over to the audience insight tab and collect data regarding interests, locations, demographics and anything else you may find relevant to your research. Twitter audience insights – Social media followings are powerful resources to delve into because of their natural consumption of personal information. Twitter’s insights tool can give you a look at many of the unique data points and interests that are ordinarily hard to find. Certainly, if you go to all the effort of classifying your sales prospects into different buyer personas, you’ll want to track this information. But a handwritten note scrawled on a piece of scrap paper mid-phone call isn’t the way to go! For best results, use a CRM system with a custom picklist field that allows you to select from your established buyer personas. At the very least, designate a spot for this information in any customer management spreadsheets or paper files you maintain so that it can be tracked with some regularity. The reason a CRM field is the ideal place for this information is that if you’re diligent about recording your buyer personas, you’ll then be able to run reports based around this data, including everything from whether you’re generating more leads in one buyer persona than another to whether one buyer persona is resulting in more closed-won opportunities than others. These types of reports can provide you with powerful marketing insight that could alter the way you spend your advertising dollars or the specific methods you use to reach out to prospects. So the bottom line is this: find a good way to record the buyer personas you’ve assigned your customers to and revisit the data you’ve collected at least once a quarter to see if reveals any insight that ultimately affects the way you advertise your business. Classifying your prospects into buyer personas is great and tracking that information is important, but sending your different personas into different marketing tracks is the real reason you’ll want to go to all this trouble in the first place! As described in the beginning of this article, knowing your prospects’ buyer personas allows you to speak to them in a way that’s likely to resonate with their wants and needs. Change up your phone call elevator pitch – If your business conducts phone sales, these calls are on of the first places you’ll want to introduce persona-specific content. Create a set of sales scripts tailored to the wants and needs of each of your buyer personas. Then, once you’ve used your clarifying questions to figure out where each prospect stands, switch to the appropriate set of scripts to present the most compelling possible sales pitch. Flip the script on sales demonstrations – Similarly, if you routinely use online or in person demonstrations in your sales process, consider creating completely different presentations that are designed to appeal to each persona. For the strongest possible impact, ascertain your prospect’s persona before the presentation, either on the phone or through e-mail. That way, you won’t have to interrupt your presentation in order to pull up the correct set of slides. Alternatively, companies contracting out their sales teams can feel free to simply pass along the buyer persona write ups. Sales pros are brilliant in their ability to learn the “why” of customers and pair it with a product solution. Their talent is derived from a curiosity of who the customer is. Buyer personas are the perfect tool for them. Outbound reps play with a series of filters and keywords to track down leads. Allowing them to have such in depth insights on their target leads will give them a platform for success off the bat. Through a single buyer persona, they can adapt their selling style to the personality, needs, fears, hopes, and dreams of the prospect. Blog to different points of view – Use your blog posts strategically by posting content that will appeal to each one of your buyer personas. Then, when you’re communicating with a prospect that you’ve sorted into a specific persona, you can reference individual blog posts that reinforce your sales pitch in an educational – yet persuasive – way. Alter responsive website content – Want to get really fancy? Tools like HubSpot can serve up dynamic content based on the buyer persona you’ve assigned to your prospects. When your website detects their IP addresses during their visits, everything from alternate call-to-action buttons to entire blocks of content can be called up in order to appeal specifically to their interests. Assign alternate nurturing drip campaigns – On a related note, if you’re using a marketing automation program like HubSpot, Marketo or Pardot, you can use the assignment of buyer personas to prospects to trigger automation rules that place the leads into email campaigns that are tailored to their personas and stages in the sales process. Even if you aren’t using an automation tool, you can manually segment subscribers in your email management program or send individual email templates to persona-identified prospects by hand in order to get the content that’s most likely to get them to convert into buyers in front of their eyes. Finishing up with our example of Mark, the accounting firm website designer, let’s see how he can tailor his phone calls to his two different buyer personas, rather than just giving out a “one size fits all” sales pitch. Mark: Hi there. My name is Mark from Websites 4 Accountants. I’d love to talk to you about how our streamlined website management system can help your firm meet its business goals. Frank Founder: Sure, I’ve got a few minutes. M: Great! Let me start by asking, what would you say is your biggest problem with your current website? FF: Well, I don’t really know much about websites. I just want something that looks good and will help my firm get more customers. M: I definitely understand – having a website is important, but it needs to represent a positive investment for your firm. I’d love to show you how some of my past customers have used their websites to capture new business and increase their overall revenue. Tommy Technology: Sure, I’ve got a few minutes. TT: Well, my firm’s website looks incredibly dated. I wish I could get something new, but I’m not sure how to get my boss on board. M: I definitely understand – having a website is important, but it needs to look modern if you want potential customers to take you seriously. I’d be happy to show you how my past customers have taken advantage of our system’s high tech features, and I can teach you how to easily present them to your boss in order to get his buy in. After understanding your buyers and where they hang out, you’ll get a better sense for the channels that will work best in advertising to them. For example, Instagram influencer marketing has grown tremendously in the last five years. Instagram’s platform alone now has a marketing industry of $1 billion reserved for influencers. The greatest challenge involved here is discovering the best influencers to reach your targets. Using buyer personas gives you a source to discover common interests and discover the influencer that your buyers already follow and trust. Buyer personas are more than just a foundation for higher ROI and target marketing, they are a metaphor for understanding your customers and how your product or service best suits them. They are diverse by nature, instituting creativity by means of empathy and storytelling. 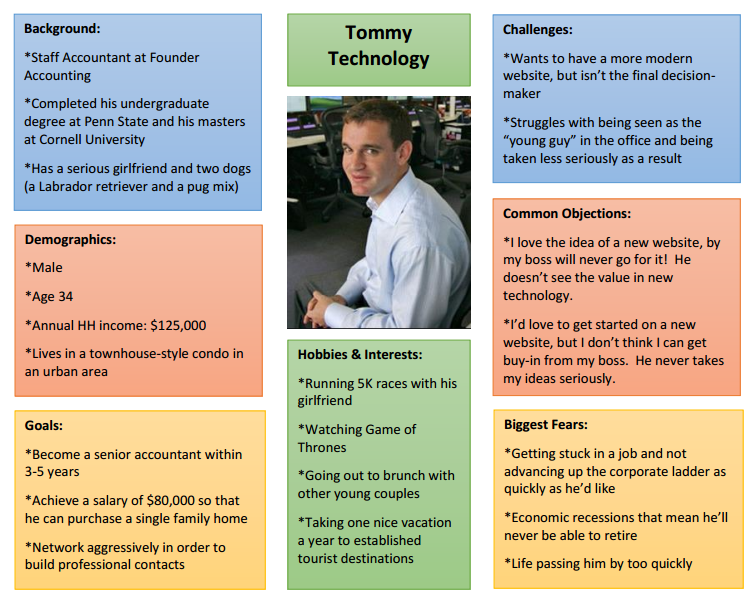 Integrate the personas with your sales and field teams. Allow everyone to not only to help track the buyer persona data but utilize them as well. At the end of the day, the goal of developing and assigning buyer personas is to be able to humanize your sales content and marketing messages. The specific way you’ll want to do this will, of course, depend on your business’s unique structure and initiatives. But by taking the time to classify your individual prospects according to their buyer personas, tracking this information and then using it to inform your marketing campaigns, you’ll substantially increase the likelihood of your advertising messages hitting home and turning into sales. Or, if you have any specific questions about buyer personas and their use in marketing campaigns, ask them in the comments section below!